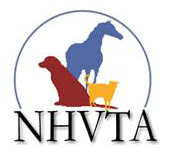 The New Hampshire Veterinary Technician Association Continuing Education Committee is seeking speakers interested in presenting at potential NHVTA CE events. The NHVTA CE Committee is working to schedule live CE events in the state. Details of potential events are not yet available. Speakers receive a $100 per lecture hour honorarium plus travel expenses. Please use the link below and complete the online form. Your CV or resume and a document listing the lecture titles and descriptions for consideration must be uploaded into the online form.